Social media is all about connecting with your audience. You need to provide them with engaging social media posts and be engaged with it yourself – asking questions and starting conversations. Social media automation can help hugely with this. It isn’t about bulking up content, automating questions and then not looking at your social media platforms for the rest of the year. It’s about being organized, having a constant flow of content and making the content you have go further. While the content you share should be engaging, you may worry about scheduling the same content multiple times. Will it bore your audience? Will it make them unfollow you? No, resharing content, particularly if it’s evergreen, is a great move. 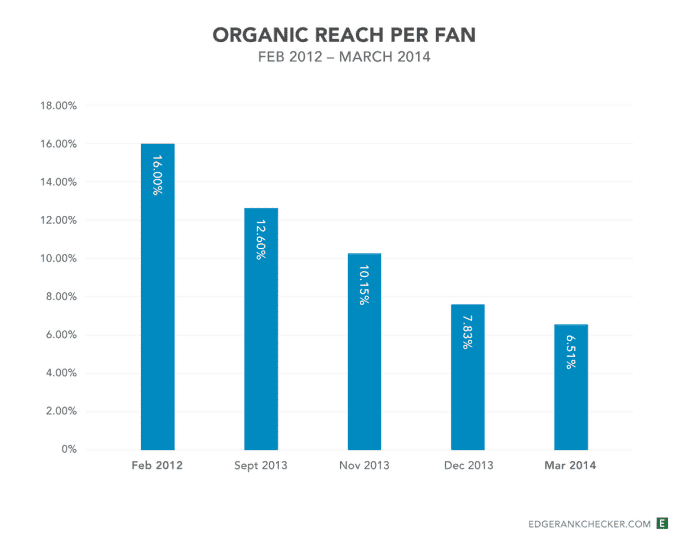 Over the years, organic Facebook reach has declined quite a bit. In 2012, Facebook revealed that on average a newsfeed post is only seen by 12% of followers. But since then research by EdgeRank Check (which has now been acquired by Social Bakers) showed that by March 2014, this had declined to 6.5%. So it’s unlikely any of your followers will even notice if you schedule something more than once, because the fact is that most people won’t see a post the first time you share it. By sharing a piece of content again, you are increasing the chances that a user who missed it the first time will see it. Resharing is better than a bare newsfeed or not being seen by your followers at all. Scheduling and sharing both evergreen content and new content in a strategic way will help build your social media presence without it taking over your life. But it’s only helpful if what you’re posting engages your followers and other social media users. So here are some tips for scheduling the most engaging social media posts possible. Before you start posting, it’s a good idea to have a social media strategy in place so you know exactly what it is that you want to gain from your social media activities. Do you want to have a large number of followers, so at a glance people will see your business as popular and trusted? Or do you want to build a truly engaging social media presence, with a focus on likes, comments, shares and conversations? If you’re all about conversions, share content related to your products and services and think best about how to do this in a way that won’t overwhelm followers. The 80/20 rule seems to be becoming the standard for content marketing. This means only 20% of your content should directly promote your brand, products or services, while the other 80% is content that informs, intrigues and grabs your customer’s attention but isn’t directly related to your products. Once you know what it is that you want to get out of your social media platforms, you can put together a social media style guide to use as a reference point. It might seem a bit excessive to have a style guide specifically for social media, but the idea behind it is to keep your posts consistent and to make sure your social presence is in keeping with your brand voice. This is particularly important if more than one person is writing content for your social media platforms. A social media style guide is a practical marketing tool to make sure that everything you say and do on social media makes sense for your brand. In your guidelines, include things like personas, tone, language, the types of images and curated content you should share, your brand values, adjectives to describe your personality, as well as more practical information on where you should post and how often. You can even go as far as offering platform specific guidelines, which URL shorteners to use and how to deal with trolls. We like this social media style guide from New York University, because it includes words not to use on its social media, as well as specific directions on punctuation. It may seem over the top, but correct punctuation is particularly important for a university’s brand. You can also check out this social media style guide from MailChimp, which is part of the company’s overall content style guide. It’s very clear, succinct and would make it easy for anyone posting to their social channels to be on brand. Your style guide doesn’t have to be long, but if it includes examples and is comprehensive, it will make everything easier. Take a glance at it before sitting down to schedule some posts – or keep it beside you for any questions that may pop up while you’re posting. If you sit down to organise some scheduling, you’ll quickly get into the flow of things. If you build a consistent voice, your followers will be more likely to engage with your content. It’s likely the reason they followed you in the first place. A holiday calendar might appear at odds with the whole idea of automating social media content in advance. While the bulk of your content should be evergreen so it can be re-posted numerous times, if you fail to look at the calendar, you may be missing out on opportunities. Use a content calendar to keep an eye out for what people will be talking about. If you forget to wish your customers a happy Christmas and continue to post non-stop about the benefits of e-commerce, they might start to notice a lack of human touch. Having a holiday calendar with the year’s main holidays and events, as well as some dates of note specific to your industry, will allow you to plan posts for every situation. Even if you’re planning a month ahead of time, you can glance at the calendar and schedule some posts around the event. If there is a conference related to your industry, the chances are you’ll be able to figure out the hashtag beforehand by looking at the event page. Being aware of what’s going on can help you share evergreen content from a fresh angle too. HubSpot had a great 2017 calendar to work from and it’s up-to-date until next February. While other websites will help you spot niche holidays. You’re sure to find some quirky holiday related to your industry. Wine vendors are in luck this coming February, with Mardi Gras, Valentine’s Day and ‘Singles Awareness Day’ taking place on consecutive dates, followed by National Drink Wine Day just three days later. Quirky, out-of-the-ordinary posts are sure to engage your audience. A simple ‘Happy Christmas’ can go a long way to building a friendly brand image and with a holiday calendar, you can schedule these types of post in advance. Don’t overstretch yourself with the number of social media platforms you operate, it will hurt your ability to engage meaningfully with followers. It’s important to ask yourself how many channels you can manage, even with time-saving automation tools at hand. Focus on your company’s best performing social media channels. If you’re just starting off, ask yourself what platforms your target audience is on and look at the channels your competition is using successfully. Two years ago, the Pew Research Center did some really comprehensive research on the demographics of social media users across Facebook, Pinterest, Instagram, LinkedIn and Twitter. Check out what platform’s users match up with the demographics of your audience. Sometimes, it can just be best to use logic. If you have a visually enticing product, go for Instagram and Pinterest. Though it’s not the most popular social media platform, according to research from Shopify, 93% of Pinterest users use the platform to plan purchases. If you don’t have any great visuals to share, don’t invest time in these social media as it will be hard to get users to engage with your page. For lead generation, Twitter and Facebook are the best platforms, unless you’re a B2B business – then LinkedIn is the best place to find customers to engage with. If you want to build brand awareness, Facebook is probably the best place for you, as it’s advertising is known to have the best return on investment, a wise choice even if your budget is limited. Getting your platforms right will get you closer to your audience and once you’ve found them, you will be more likely to build a following that will engage with you. You may have heard that humans now have a shorter attention span than goldfish, or you may have scrolled right on past it! Regardless, the lesson to learn from this is to keep the text of your posts short. Though Twitter has recently extended its character limit, that doesn’t mean you have to use it all. Catch people’s attention by cutting through the noise and speaking with power. Use emojis – if that suits your brand – and highlight to your followers the reason why you’re sharing this post with them. Encourage engagement by asking questions – put out a call for feedback or ideas, perhaps you could ask what content they would like to see. This way they won’t feel like they are being talked at. Include CTAs in your posts and most importantly, share good quality content. If followers have had a bad experience clicking through to your blog, they won’t engage with you again. And avoid a click bait piece of text at all costs – Facebook, for one, doesn’t like this at all. No matter what platform you’re on, you want your message to make people feel positively about your brand. Always retain an upbeat tone when posting on social media, show personality and don’t let people forget that there’s a person behind the posts. When scheduling be careful not to put together posts just for the sake of it. Think what will make your audience pause their newsfeed. Is it a joke? Or a pun? Or perhaps an overly aggressive order demanding that they click through to your blog. Generic short URLs are already widely used on social media, but branded short links are becoming popular now too. Sharing a link with your brand name in it increases brand recognition and awareness. But, more importantly for your followers, the keyword featured in a branded link’s URL slug indicates what the content you’re sharing is about and where the link leads to. This in combination with aligning your links with your brand sends a strong signal of trust, which improves engagement and can increase CTRs by up to 39%. When posting on Twitter or Instagram, it’s important to use hashtags and consider which ones to use carefully. There are some useful tools to help you pick the most effective hashtags for your business. Tools like Audiense let you see what your following is talking about and you can also see your followers’ most used hashtags – you can see Rebrandly’s hashtag cloud above. While tools like Ritetag, will help you find the right balance between hashtags that are crazily popular and hashtags that are way too niche. If a hashtag is used a lot, your post will get lost in a stream of tweets. But if your hashtag is way too specific, #NobodyWillEverSearchForIt. Finding a hashtag in the middle ground means that people searching for this are more likely to see your tweet and engage with it, because they aren’t inundated by other posts. When you can mention someone in your tweet, do! It encourages that person to engage with your post and if you have a reason to tag the, they probably will. Whether it’s the author of the post you’re sharing, someone who contributed a quote to it, a company mentioned in the text or a source of research, it’s worth adding an @mention to your post. And the more followers the person you tag has, the better it is if they share it. 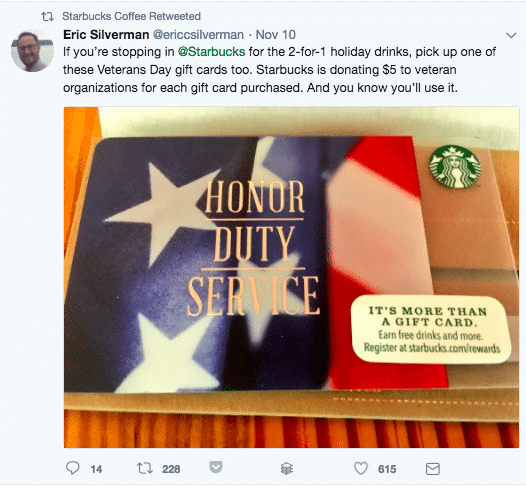 In the below Twitter example, Eric Silverman – who has 1,363 followers – tagged Starbucks in his tweet about the coffee chain’s Veteran Day gift cards. His action earned him a retweet and exposure to Starbucks’ 11.9 million followers. Bright, bold, branded graphics are sure to make an impact and grab the attention of newsfeed scrollers. Visuals have a huge effect on whether or not people engage with your post, videos are particular engaging on social media. According to Cisco’s Visual Networking Index, by 2019, video will make up 80% of global consumer internet traffic. While a 2015 survey by video editing tool Animoto showed that four times as many consumers would rather watch a video about a product than read about it. 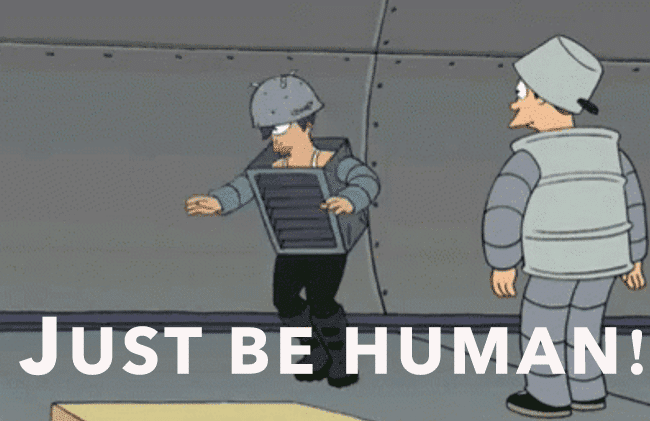 As for plain old unmoving images, tweets with those received 150% more retweets than those without. 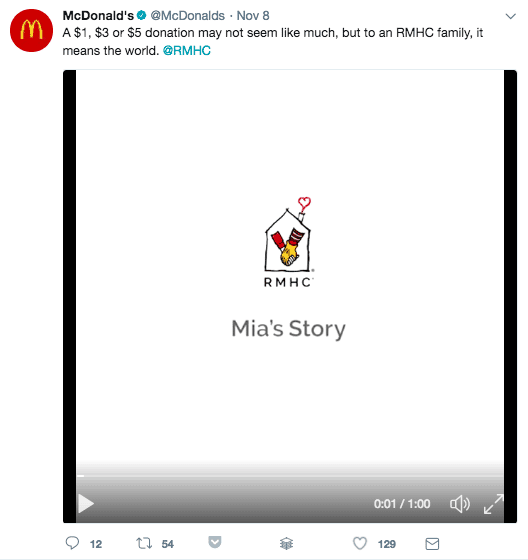 It’s actually quite hard to come across big brands sharing posts that don’t include some form of visual element, but you can see from these two tweets on McDonalds’ Twitter page that engagement does increase hugely on the post featuring a video. So make sure to include videos, infographics and images where possible to increase the amount of interaction with your posts. Want to see what’s engaging on social media? Measure Everything! Finally, we’ve come full circle, from planning all the way to tracking. If you want to know exactly what engages your audience most on social media, the answer is in the analytics. The more you track, the more insights you’ll have. Facebook, Twitter and LinkedIn all have free analytics tools that will let you see how your posts are performing. Once you figure out the patterns emerging from the data and know what is doing well, you can revert all the way back to the planning stage again. Update your style guide if you’ve noticed something is particularly engaging on social media. If posting about Drink Wine Day proved popular with followers, add more quirky holiday dates to your social media content calendar. You can change platforms and maybe even tweak your goals and feel happy in taking these actions, because the proof is in the metrics. It can seem like a lot of work, but if you get it right, you’ll see a real return on your efforts. Connecting with your audience on social media can result in improved brand recognition, increased brand loyalty, more traffic to your site, better customer insights and, most important of all, more conversions. Swoon! Try out our tips and let us know how you get on. Or, if you’ve noticed something that really engages your followers on social media, share it with us in the comments below. 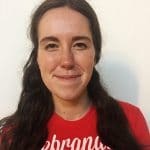 Louisa McGrath is a content manager at Rebrandly, the URL shortener empowering marketers to put their brand on their links (branded links). She can be seen blogging around Dublin city center, except on Sundays when she stays in to pore over the newspapers.